Let’s have a shout-out for some oft-unsung heroes: men who take fatherhood seriously. Men like Joseph, the spouse of Mary and foster father of our Lord Jesus Christ. Joseph had choices. He could have had his fiancée, Mary, stoned to death for being pregnant out of wedlock. Lesser men would have done that, but Joseph was a better man than that. Being an honorable, decent man, Joseph was going to break off the betrothal and put her away quietly. He was ready, that is, until an angel gave him divine assurance of his critical role in salvation history. Joseph did the right thing, the courageous thing, the faithful thing, by saying “yes” to being the earthly guardian of the Son of God. He was a dad who made a difference. 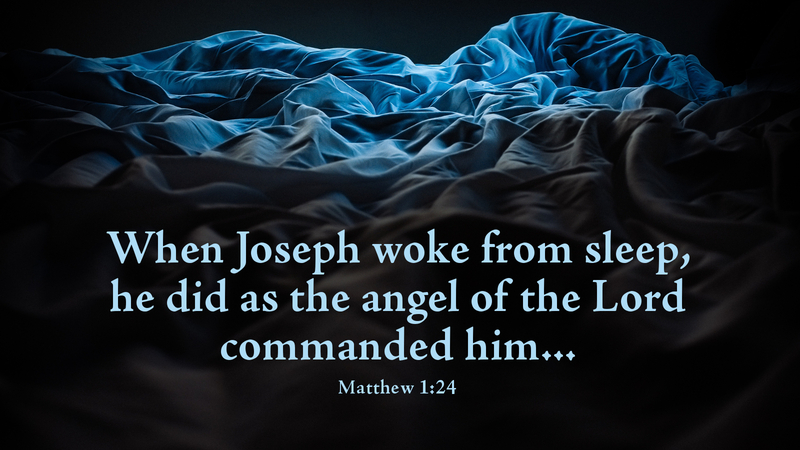 Perhaps you had a dad like Joseph — a birth father, adoptive father, foster father, step-father, god-father, or all of the above. Some of us have had more than one father figure in our lives — some of them great dads, others passably so, and still others who forget us. Some among us have had our dads taken away too quickly due to war, illnesses, accidents, crime, or suicide. For my siblings and me, a foster father was our Joseph. Our birth parents divorced and remarried several times. Our mother lost custody of all three of us. Our father’s new wife didn’t want us in the house. Our step-fathers neither knew of or cared about Christ, let alone his mother and foster father. We ended up in the care of two foster parents, Harold and Katherine, who parented in the manner of Joseph and Mary. They treated us as their own flesh and blood from the moment we came into their family of five. That care continued until they died. Then, the Lord led a Joseph-like man to become my husband and, nearly five years later, the marvelous father of our daughter. Many, many other young men and women still look up to him as a mentor. It’s the greatest gift I could give my child: a godly father. Reflection-to-Action: The call to fatherhood is a holy calling. • Perhaps you are a dad yourself, raising your kids or possibly your grandkids. Maybe you are the father figure for youngsters at church, in a local school, a youth activity such as 4-H, scouting, or sports. Blessed are you when you do so for Christ, in the manner of Joseph. Keep it up, and trust God to help and guide you. • Perhaps you are facing tough times as a father — circumstances that make you want to strike out or walk out, even cut and run. Please don’t, for your child’s sake and for Jesus’ sake. • Consider, too, whether the Lord is calling you to step into the Joseph-like role as a father figure to kids who need one. Explore the possibilities. Pray about what it would mean for you to be “Joseph” to a youngster who is not of your own flesh and blood. If even Jesus our Lord needed a good, earthly guardian, how much more then, do the growing number of youngsters who don’t have a Joseph in their lives? Prayer: Heavenly Father, grant that all your people — especially the fathers among us — may be encouraged by the example of St. Joseph, earthly guardian of your Son, Jesus Christ. Show us the way to reflect your saving, redeeming love to the children among us, especially those who have no father figure in their lives. We pray this in the name of Jesus Christ, who lives and reigns with You and the Holy Spirit, one God now and forever. Amen. Today’s devotion was written by the Rev. Cathi Braasch, Pastor of Grace Lutheran Church in Jackson Center, OH. Really enjoy your daily sharing! So many “hidden” messages in Day 2 message! Thank you and God Bless You!